1. In a pot, pour water and add onion and tomatoes. Bring to boil. 2. 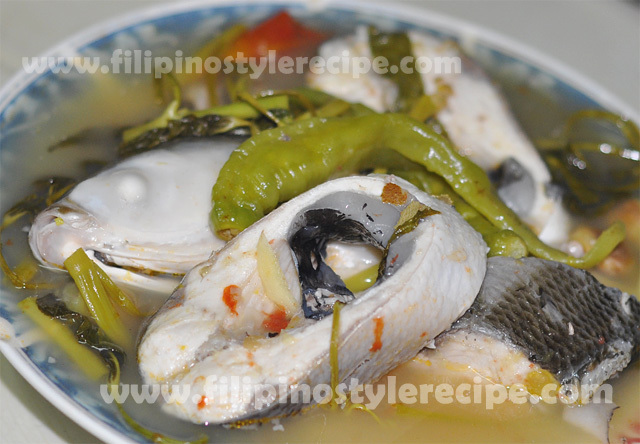 Add milk fish, cook and simmer for 10 minutes. 3. Add tamarind juice or sampaloc mix. Simmer for 5 minutes. 4. Add green chili, string beans then kangkong leaves. 6. Season with salt or fish sauce according to taste. 1. Boil tamarind until soften. 2. Pound and extract the juices.